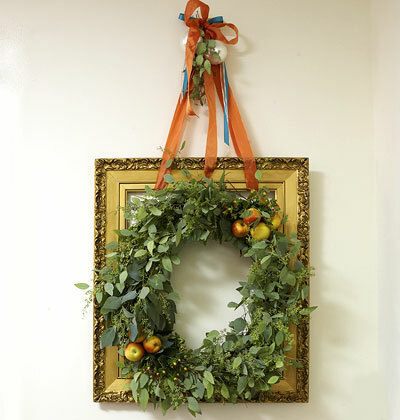 Add simple holiday touches around your home to bring out the holiday spirit. 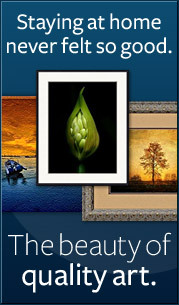 Frame a wreath...simply hang a wreath over a picture frame or even a mirror. 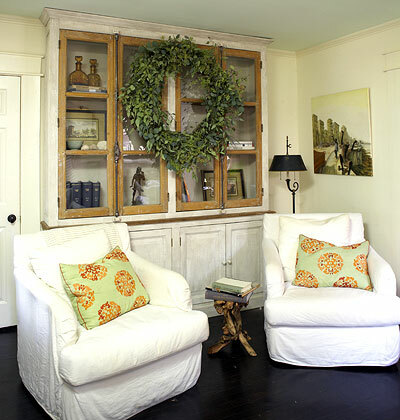 Add a wreath to bookshelves. 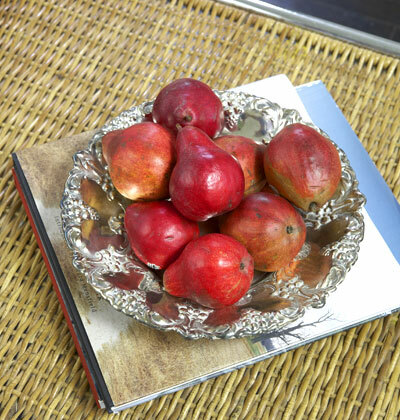 Bring a splash of holiday color to a coffee table with a bowl of red apples or pears.